For me, the holiday season has always been about family. It’s a special time of year when no matter what is going on, everyone in the family gets together to spend some time with each other and create amazing memories that last forever. 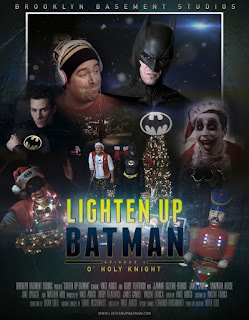 I wasn’t thinking about that when I had the idea to write a Christmas episode of Lighten Up Batman, but throughout the process of writing and filming it that idea became my central focus. After all, Christmas is about family. At it’s inception, this story started as simple as, “Hey, it’s almost Christmas time. We should do a Christmas episode!”. From that humble beginning, the episode then grew into something truly unique and special for me. As I sat to write it down the ideas began to flow more freely and quickly than with almost anything else I’ve ever written. With all my favorite Christmas movies in mind (Home Alone topping the charts), and drawing on a lifetime of great Christmas memories, the episode came together and became a reflection of my love for the holiday. That creative flow and love stayed strong from the writing stage all the way through my final cut. Despite the stress and craziness of the episode’s entire shooting schedule being compressed into a single weekend, every moment on set held an air of Christmas joy and eager anticipation. There was something truly magical about seeing the batcave decorated in full Christmas splendor and I could see it in everyone as we worked. The cast and crew all saw something special in this episode, and because of that, everyone put a little bit of their own holiday love into it, which is something I will be forever thankful for. As I said in the beginning, for me the holiday season has always been about family. For Batman, however, the holiday season holds no such love. Batman lost his family as a child and has lived his life alone, at least that’s how it’s always been before. In creating LUB and the character of Gary Wayne I’m now able to change that. Batman has real family now, and despite all the craziness and frustration that may bring to his life, at Christmas time all that matters is family. This episode is my gift to my favorite superhero, the gift of a true family Christmas. 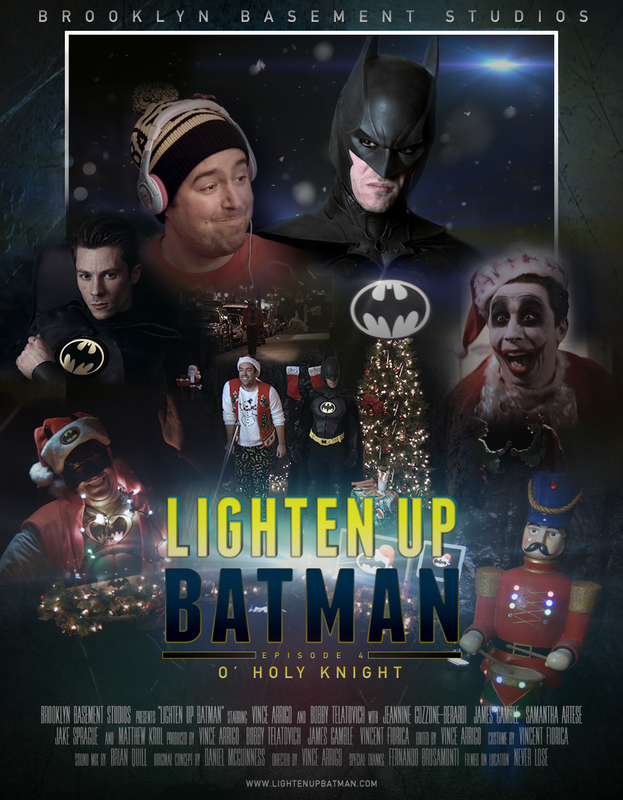 So with that in mind, I proudly present Lighten Up Batman: O' Holy Knight! 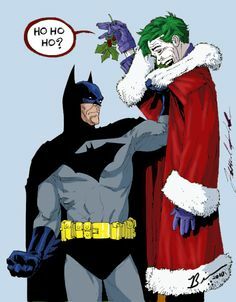 Merry Christmas and Happy Holidays from everyone at Lighten Up Batman!! *** This article was brought to you by the top dog of 'Lighten of Batman', Vince Arrigo.